We all tend to prioritize different obligations and commitments in life, and that means that sometimes you have to put things on the back burner. It’s the only way to stay organized when you have a busy schedule. However, some things you can’t afford to ignore. One of those obligations is your biannual dentist checkup and cleaning. Dental checkups set you up for success. A thorough, professional cleaning removes plaque buildup and halts cavity formation. 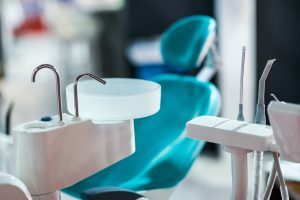 The examination portion of your visit gives your dentist the chance to take a close look at your teeth and make sure that no structural problems are developing. If you have something come up on the day of your appointment or you move to a new city, you may end up missing your dentist appointment. It’s important to schedule another appointment as soon as possible. When you miss dentist appointments, it gives the bacteria on your teeth time to grow. Even if you’re an excellent brusher, you can still develop cavities over time. It’s difficult to completely clean every tooth surface throughout your mouth. Professional cleanings help you stay on top of things. Your dental checkup also allows your dentist to give you personalized attention and care. This a time when you can receive x-rays, which allow your dentist to examine the structure of your teeth in a way that he or she can’t with the naked eye. Your dentist can also administer an oral cancer screening, to make sure you don’t have a serious problem developing. Dr. Michael Flynn and his team take the longview when it comes to your health. Dentistry isn’t just about preserving your teeth, it’s about securing a healthy future for yourself. When you neglect your teeth, bacteria can cause problems throughout the oral tissues in your mouth and throat, and infection can spread throughout the body. Regular dentist appointments keep your teeth looking great and your body feeling great. Schedule your appointment at Michael Flynn Dentistry by contacting the office in West Allis, WI at 414-541-8250.